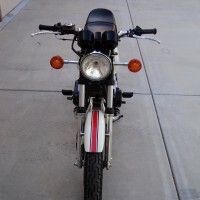 Restored 1981 Honda CB900 Motorcycle. 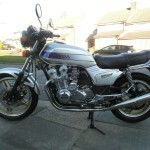 This CB900 was restored from the frame up. The bodywork was professionally re-finished. 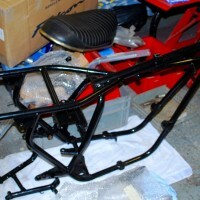 All other painted parts were re-sprayed using either Simoniz engine enamel or Simoniz tough black. 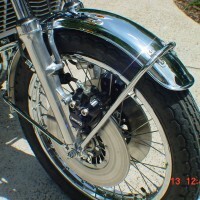 All bare metal parts were either re-polished or zinc plated. 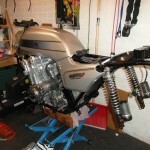 The engine was completely striped down and re-built. The primary and cam chains were replaced with new as were the tensioners. The main bearing shells were replaced along with the primary shaft dampers and the clutch dampers. The oil pump was rebuilt and a larger oil intake pick up was added. All of the the seals and gaskets were replaced. 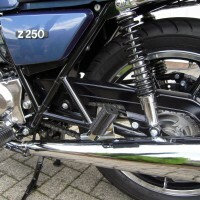 The old oil cooler lines were replaced with braided stainless steel pipes. 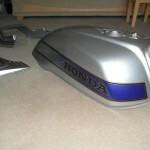 The engine casings were stripped back to metal and re sprayed. The carburettors were cleaned and new air cut off valves and seals were fitted. The exhaust system was replaced with a new stainless steel 4 into 2 system by Motad. All of the brake calipers were stripped, cleaned, re painted and fitted with new pads, pistons and seals. All 3 of the discs were skimmed on a lathe. 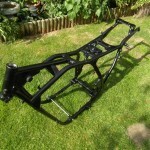 The front forks were re-built with new oil and seals and the bodies were blasted and re painted. The wiring loom was replaced with a very rare NOS item. 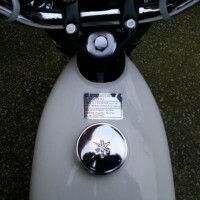 The fuel tap was replaced and the seat was professionally re-covered. 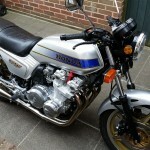 Honda CB900 – 1981 For Sale or Wanted? 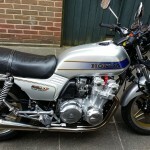 If you're looking for the perfect Honda CB900 – 1981 for sale then take a look at the hundreds of restored classic motorcycles listed on our extensive Motorcycles For Sale pages. 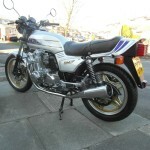 We regularly feature very nice restored Honda CB900 – 1981 bikes for sale. 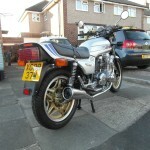 Spares and Parts for your Honda CB900 – 1981? 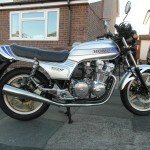 Workshop Manual for your Honda CB900 – 1981?